Benjamin Franklin was more than one of America’s most beloved Founding Fathers. He was also the first major American inventor. In 1748 at the age of 42, Franklin retired from his career as a printer to turn his attention full time to studying biology and physics, pursuing his curiosities about the world. Franklin is most famous for his experiments with electricity. Franklin was not the discoverer of electricity but rather he spent time learning about its properties. He was aware of the dangers of electricity and lighting. 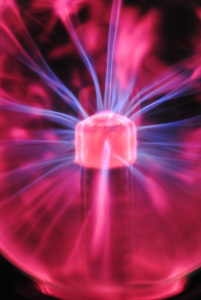 He used the concept of electric ground to investigate electricity and lighting. This concept led to the invention of the lighting rod. A metal rod was attached to the high point of a building. A metal cable attached to this rod ran down the side of the building and into the ground. When lighting struck the rod, the electricity ran down the cable and into the ground, preventing damage to the building. Franklin was curious about life. This curiosity along with the physical needs of himself and his family led to some of his other inventions. By the age of 40, Franklin needed to wear two different pair of glasses. He had a pair for reading and a pair for nearsightedness. Always switching between the pairs was a hassle. To save himself the trouble, Franklin cut the lens of both glasses in half horizontally. He attached the top of his nearsighted glasses to the bottom of his reading glasses. These were the first pair of bifocal glasses. Franklin’s older brother suffered from kidney stones. Franklin searched for a way to help alleviate his pain. He developed a flexible catheter that appears to have been the first of its kind produced in the United States. In America at the time of Benjamin Franklin, people heated their homes with fireplaces. These were dangerous and very inefficient sources of heat. Franklin knew that there had to be a better way to heat. Since heat radiates in all directions and these fireplaces were built into the wall, a large portion of the heat was being lost. Franklin’s solution was to build a cast-iron furnace that could be placed in the middle of a room. The heat was spread in all directions and also absorbed by the walls. The stove provided warmth even after the fire was out. 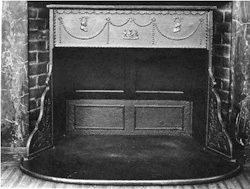 Franklin named this invention the Pennsylvania stove. His idea was good, but his stove did not work well. Later the stove was modified by another inventor to become more efficient. This stove became known as the Franklin stove. The many jobs and responsibilities of Benjamin Franklin included postmaster. As postmaster, he was concerned with how to provide fast, efficient mail service. Distance needed to be determined so that Franklin could plot the mail routes. To accomplish this task, Franklin invented a simple odometer that attached to his carriage. The device counted the rotation of the carriage wheels. This information could be used to calculate the distance between two points. Among Ben Franklin’s achievements is also the invention of a musical instrument for which Mozart and Beethoven composed music. While living in England, Franklin saw a musician playing musical glasses. Franklin loved the sound of the music but was sure there must be a better way to create the sound. He had thirty-seven glass hemispheres of varying sizes and thickness produced. The hemispheres were put through a rod and nested together from largest to smallest. This was attached to a foot pedal which turned the rod and rotated the hemispheres. Moistened fingers were held against the rim of the glasses as they turned. The sound produced was similar to that of the musician playing the musical glasses. 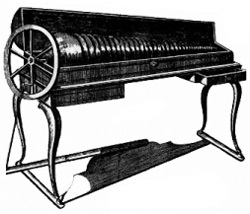 Franklin’s instrument was called the Armonica. Franklin is an ideal role model to inventors and scientist still. He was truly full of curiosity and questions. He used this curiosity to develop inventions that improved people’s lives. ← Ask The Invention Geek – Longest Patent Application? Who is the Invention Geek? Here our team creates custom awards that recognize innovator achievements; for large corporations and individuals alike. The Invention Geek handpicks the most interesting, amazing, or challenging invention and patent related questions; then showcases them in our Ask The Invention Geek series. She’s open to all questions in the intellectual property field! Become A Patent History Geek! Join our mailing list to receive specials, discounts and cool patent news. Who Are We? Glad You Asked. Share Your Thoughts! We’re Listening.